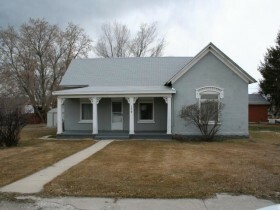 American Fork Utah Homes for Sale; American Fork Utah Homes for Sale. Our search offers the best online, live search engine in Utah County. The search has listings of all American Fork Homes, condos, and townhomes for sale. When you subscribe to our Buyer's Club you will receive daily emails of every new listing and price change within your search criteria. You will have free unlimited access to every home listed for sale in Utah County. When you use our American Fork Utah Homes for Sale search you can save favorites, rank the one's you like, and make notes. If you have questions about the Homes you have seen, Team Teasdale Realty will be able to view your list with you. This makes exchanging information fast and simple. American Fork Utah Buyers love that our search points out which Homes are Bank Foreclosures in American Fork and which ones are Short Sales in American Fork. Remarks: Charming Heritage home on a large .32 acre lot.Lots of architectural detail. New wiring, plumbing and roof done in 2009. Spacious kitchen and bathroom loads of potential. Easy to show.